The BMW X2 Concept at the Paris Motor Show and now it is available for real. 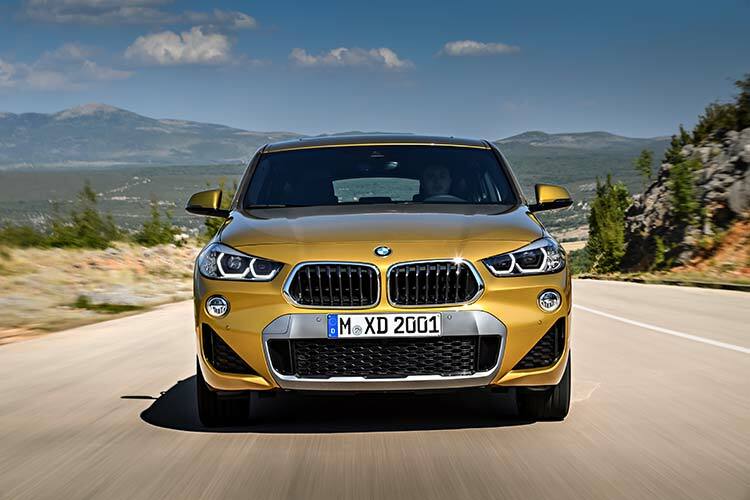 With its unmistakable design and sporty, urban feel, the BMW X2 breaks new ground for BMW as a unique and exciting addition to the BMW X model range. The car’s chassis and xDrive intelligent all-wheel-drive system delivers the ideal balance between sporting dynamics and efficiency. 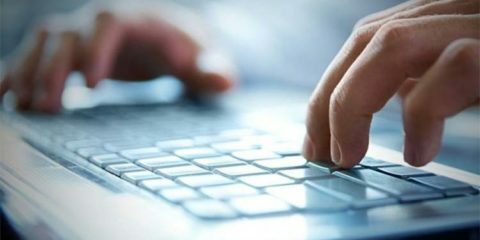 The digital services from BMW ConnectedDrive and BMW ConnectedDrive Services – both of which are now available in freshly updated form – add further depth to the overall BMW X2 experience. Even next to its bigger brothers, the BMW X4 and X6, the BMW X2 makes a distinctive impression. The car’s exterior design combines the low-slung proportions of a coupé with the robust core of a BMW X model. The BMW X2 is two centimetres shorter and more than seven centimetres lower than the BMW X1, yet has the same wheelbase. Featuring short overhangs, it also has a stretched, coupé-style roofline and slim window graphic. The kidney grille has always been an identifying feature of a BMW. On the X2, however, its outline is wider at its base than at its top. The X2 is the first modern BMW to feature this design cue, and it gives the new car a broader, more distinctive and sportier appearance. Below the grille, the hexagonal surface treatment in the bumper further reinforces this impression. The high-gloss black grille provides sharp contrast with its chrome surround. Full-LED headlights as standard on Sport, M Sport and M Sport X models. The bi-LED light for low beam and high beam is highly effective at illuminating the road, while also accentuating the BMW X2’s sporty character. The headlights display precise detailing, achieved in part through 3D Icon LED daytime driving light and laser engraving. The M Sport and M Sport X models are available with wheels in sizes up to 20-inch, a standout feature in this segment. As standard, both models are fitted with 19-inch wheels. The standard rims for the SE model are 17-inch V-Spoke style light alloy wheels, but ten other rim designs can be specified as an option. The side skirts of the BMW X2 are among its signature features and contribute to its rugged good looks. The cladding is black on the SE and Sport models and Frozen Grey on the M Sport X. The C-pillars host two characteristic BMW features: the hallmark BMW Hofmeister kink and, for the first time on a BMW X model, the BMW roundel. 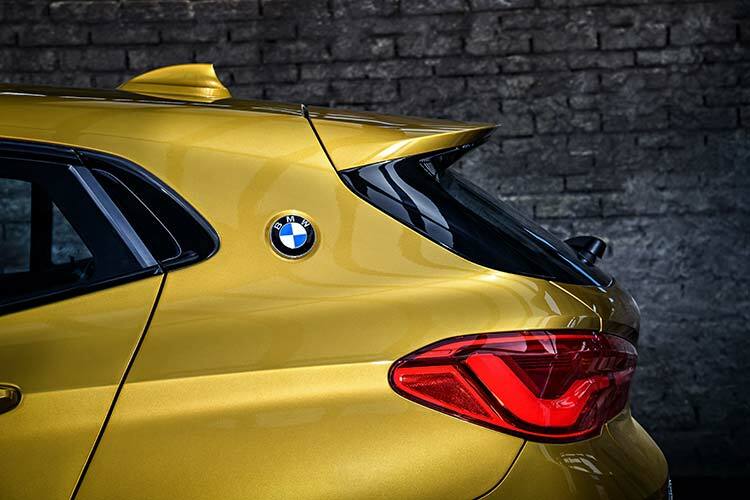 At the rear, a spoiler provides a flourish to round off the BMW X2’s roofline and contributes to the BMW X2’s drag co-efficient of just 0.28. Together with the width-enhancing rear bumper, this creates a powerful rear view. On the SE and Sport models, the rear bumper comes in the vehicle colour and matt black. The M Sport models feature a diffuser-look cladding inlay in Dark Shadow metallic. M Sport X models, meanwhile, get a bespoke diffuser insert in the contrast colour Frozen Grey. The horizontal design lines of the BMW X2’s rear-end emphasise the car’s width and its strong character, with these lines continuing into the high-set rear lights. The LED rear lights contour and the L shape familiar from BMW coupés. The car hints at the power of its BMW TwinPower Turbo engines through the design of the tailpipes. All X2 models come with a twin exhaust arrangement 90mm diameter. The class quality of the BMW X2 and its levels of equipment, even in the SE model, are both instantly apparent. The instrument panel has contrast stitching as standard, while the centre console features materials including Sensatec also with contrast stitching. 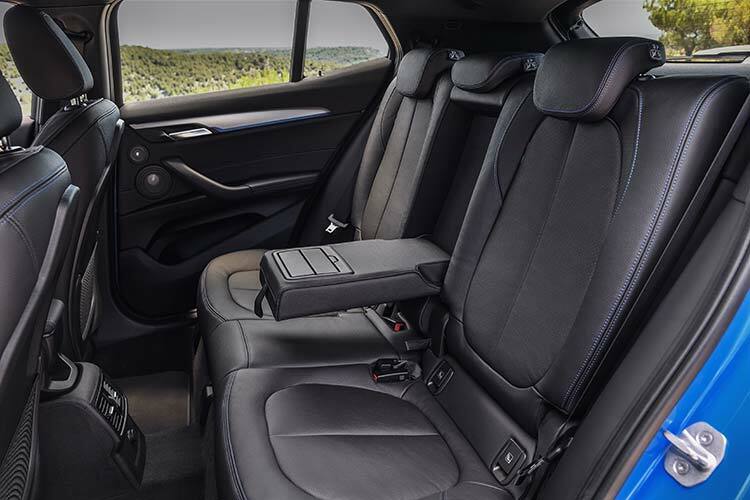 The interior of the M Sport model is trimmed in a Micro Hexagon fabric Anthracite/Alcantara combination, with the M Sport X adding leather upholstery as standard. Eye-catching highlights can be added by opting for the new perforated Dakota leather in Magma Red or the Micro Hexagon fabric Anthracite/Alcantara combination upholstery with yellow contrast stitching to match the Galvanic Gold metallic exterior paint shade. 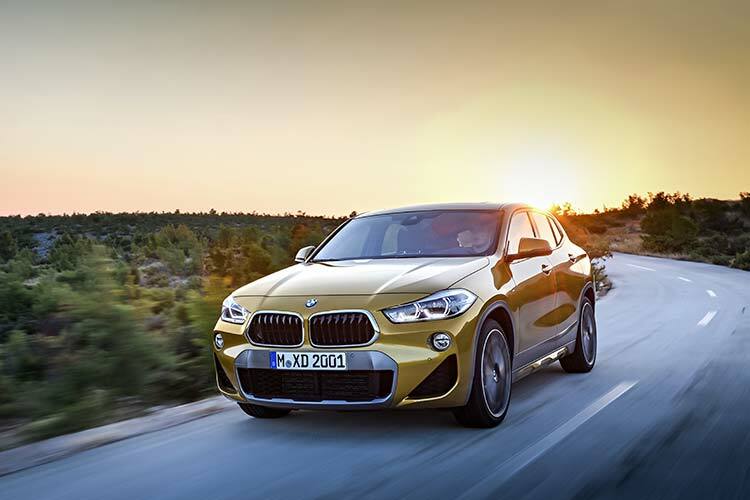 The new BMW X2 combines style with generous everyday practicality. The boot has a capacity of 470 litres, meaning it can handle leisure activities, from shopping sprees to a skiing weekend or mountain-bike tour. This functionality manifests itself in the passenger compartment too, thanks to features such as a door design featuring large storage pockets. The cabin is driver-focused, with the design of features such as the instrument panel binnacle directed at the road ahead. All controls are positioned to allow the driver to assimilate their information with a single glance and operate them with ease. The soft-finish instrument panel is pleasant to the touch and gains further visual appeal with contrast decorative stitching. The M Sport model comes with Micro Hexagon fabric Anthracite/Alcantara combination upholstery with M piping in blue or yellow with contrast stitching on the instrument panel and the centre console as standard. The M Sport X model comes with Dakota leather with contrast stitching. Further sophisticated upholstery variants are available as options, including as many as five Dakota leather variants with part-perforation and coordinated contrast stitching. The choice of trim finishers, including High-gloss Black, Aluminium and matt Oak Grain variants, underlines the high-quality credentials of the BMW X2. Excluding SE model, all functional controls in the centre console are set in high-gloss black as standard, giving the interior a touch of sophisticated elegance. An optional lighting package within the Plus pack allows drivers to set a stylish lighting mood for the interior of their BMW X2 by choosing from the colours Orange, Lilac, Mint, Bronze, Blue and White. The LED lighting in the trim surfaces of the instrument panel and door panels forms a continuous band that extends all the way around the cabin to the rear. One of the most distinctive options on the list is the panoramic roof, which adds to the sense of spaciousness inside the BMW X2. The front section of the panoramic roof tilts and slides open, just like a conventional sunroof. 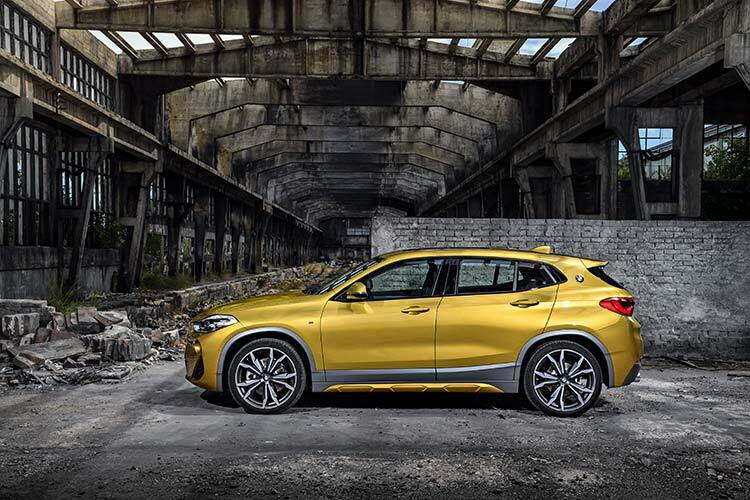 The TwinPower Turbo engines within the BMW X2 range team with the car’s refined chassis to endow it with class-beating handling qualities, exceptional agility and superb feedback. 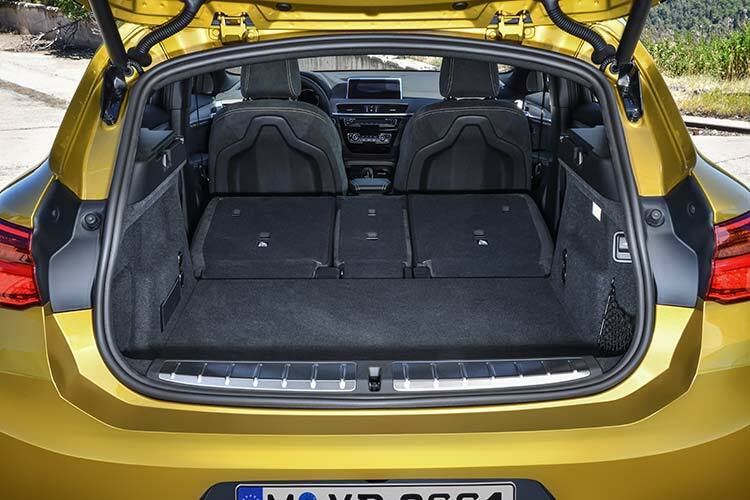 The common denominator of all BMW X2 models is a chassis that transfers the core responsiveness of the BMW engines to the road. The car’s driving responses can be adapted by using the Driving Experience Control switch, allowing the driver to choose between default COMFORT mode, efficiency-enhancing ECO PRO mode and SPORT mode. The pre-programmed set-up available via SPORT mode gives the car even more dynamic steering and powertrain responses. If the optional Dynamic Damper Control is specified, the car’s suspension can be adjusted even more precisely to individual requirements. Drivers can choose between two settings – COMFORT or SPORT – using the Driving Experience Control switch. 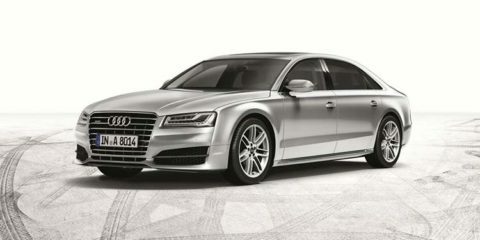 The result is sporty suspension offering solid road holding and reassuring comfort over any surface. The M Sport suspension fitted as standard on the BMW X2 M Sport and M Sport X is a particularly good match for these two models and includes tauter spring and damper tuning. BMW X2 M Sport and M Sport X models offer suspension which is 10mm lower than the standard suspension. At launch, the X2 xDrive20d diesel variant will be available. It generates maximum output of 190hp and 400Nm of torque enabling a zero to 62mph time of 7.7 seconds. Official fuel consumption is still highly impressive 61.4mpg*, while CO2 emissions are as low as 121g/km*. Further attractive variants of the BMW X2 will be added to the Sports Activity Coupé’s line-up in early 2018 – in the shape of the four-cylinder X2 sDrive20i, X2 sDrive18d and X2 xDrive18d. The 20d diesel model comes equipped with xDrive intelligent all-wheel drive as standard. 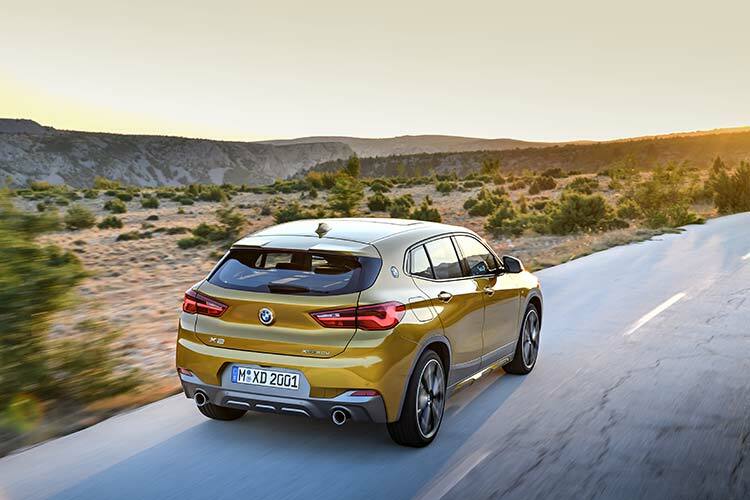 The integral Hill Descent Control feature enables the BMW X2 to automatically maintain a desired speed on steep descents by taking care of brake control for the driver, who can then devote their attention to the task of steering. With a drag coefficient of just Cd 0.28, the X2 xDrive20d is one of the most aerodynamically efficient models in the whole segment. Digital services in the new X2. All of the BMW ConnectedDrive and BMW Connected elements in the new BMW X2 have once again been designed to assist, inform or entertain the driver at the appropriate time using just the right services. The new X2 offers its driver three different ways of interacting with their car, as the sixth generation of the iDrive control concept now supplements the familiar iDrive Controller and optional voice control (within Tech pack) with touchscreen operation as standard for the Control Display . The touchscreen can also be used comfortably by the front passenger. 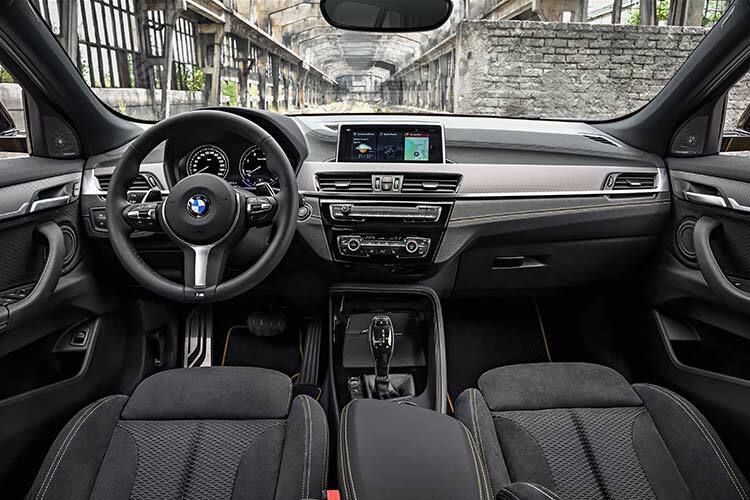 Standard specification for every BMW X2 includes a 6.5-inch Touch Control Display with navigation system. The display concept is designed to provide the driver with a quick summary of the most important information at any particular time by means of, for example, the live tiles that appear in the display’s main menu. Its operation emulates the intuitive touch control principles familiar from smartphones. For even greater safety and convenience in the BMW X2, there is the option of the full-colour BMW Head-Up Display, also featured within the Technology Pack, projects all important driving information and navigation/assistance system readouts onto the windscreen and therefore into the driver’s field of view – in high resolution. BMW Connected+ provides a digital bridge between smartphones and the car. It delivers the next level of in-car personalisation and smartphone content integration on the Control Display of the X2. This makes display and operation in the vehicle simpler than ever. One example of a new Connected+ service is Share Live Trip Status which allows the driver to share their current location and time of arrival with business partners, friends or family. Among the other highlight features enabling connectivity anytime, anywhere are the optional WiFi hotspot preparation (available in Tech Pack), which equips the BMW X2 to host a built-in WiFi hotspot with LTE speeds, and the optional telephony with wireless charging (available in Tech Pack) for compatible smartphones. Apple CarPlay® (available retrospectively from the BMW ConnectedDrive Store), meanwhile, enables easy, wireless in-car use of selected iPhone functions. Not only does the BMW X2 offer drivers a wide selection of driver assistance systems, it also comes with highly advanced technologies. The camera-based assistance systems available for the new BMW X2 help to deliver assurance and safety in different driving situations. The optional Driving Assistant (within Drive Pack) includes Lane Departure Warning, Speed Limit Info with No Passing Info display, anti-dazzle High Beam Assistant, as well as Collision Warning and Pedestrian Warning with City Braking function. In addition to these functions and as an upgrade to the Driver Pack, the Driving Assistant Plus also features the Active Cruise Control system with Stop & Go function – which maintains both a desired speed between 19 and 87mph entered by the driver and the safety distance to vehicles travelling ahead – and the Traffic Jam Assistant. At speeds up to 37mph, this function takes over both proximity control and lane-keeping tasks from the driver. The Traffic Jam Assistant uses steering assistance to keep the car reliably in the middle of its lane, but the driver needs to have at least one hand on the steering wheel for the system to work. Standard rear Park Distance Control and the rear-view camera (within Vision Pack), whose images are transferred onto the Control Display, make precise and comfortable manoeuvring that much easier. The optional Park Assist (also within Driver Pack) also helps the driver to find and make use of parallel parking spaces.